Are you using Rogers Cellular as your cell phone carrier? 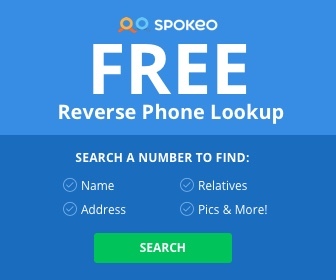 Are you tired of receiving nuisance phone calls from telemarketers, pranksters, or even abusive callers? In this article we look at the various options available to you to prevent these unwanted intrusions into your life. We will also look at the ways you can report these calls to the relevant authorities. 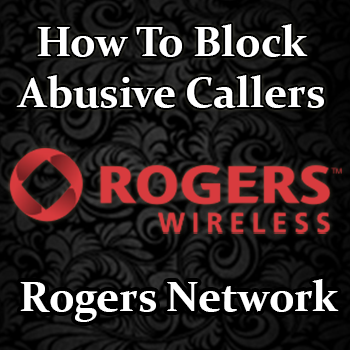 Rogers Cellular offers their own call blocking service for $5 per month. This allows a User to block any phone number they do not wish to receive incoming calls from. It also offers additional options for all of the phones that a User may have on their account. This gives more control over how and when they are used by employees, partners, or family members. Usage rules can be set up online and include parameters such as time of day, the day of the week, specific dates, set area codes, and the dialing of specific numbers only. A free alternative is to login directly to Rogers Cellular’s homepage and use their own Home & Away ™ Online Manager. This allows the User to control who can make incoming calls to their phone as well as assigning different levels of privacy. There are two stages to this process: Adding a number to the Unwanted Caller list and then Blocking Unwanted Callers. iv) Click Manage my Unwanted Callers. v) Select Yes or No depending if the unwanted number is Long Distance or not. vi) Enter unwanted phone number and Name in relevant text boxes. vii) Select type of number and Save Changes. iv) Click Configure (beside Block Unwanted Callers). If you are receiving abusive or unsolicited calls there are a number of options available to prevent the intrusion. In serious cases you should also report it to the relevant authorities to prevent the spread of such activity. To prevent nuisance Telemarketing calls you can register your details at the National Do Not Call List. You can register your Residential, Wireless (Cell), Fax, and VoIP numbers on this website. You can also file a complaint about a particular Telemarketing Call through this site. You will be required to submit your own phone number (where the call was received), the name or phone number of the telemarketer, and the date you received the call. New scams are devised everyday intending to catch out the unsuspecting consumer. If you receive a suspicious call requesting you to provide personal details over the phone hang up immediately and contact the Police Service of Jurisdiction in your area. The incident should also be reported to the Canadian Anti-Fraud Centre. This was set up by the Government of Canada to help trace the source of attempted scams before they become more widespread. For more information on reporting fraud you can visit the Royal Canadian Mounted Police’s website.